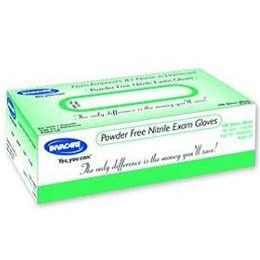 Non-Sterile, ambidextrous, powder-free, latex-free examination gloves. Soft compound for easy fit and comfort over a long period of time, without compromising integrity or strength. Beaded cuff for easy donning.